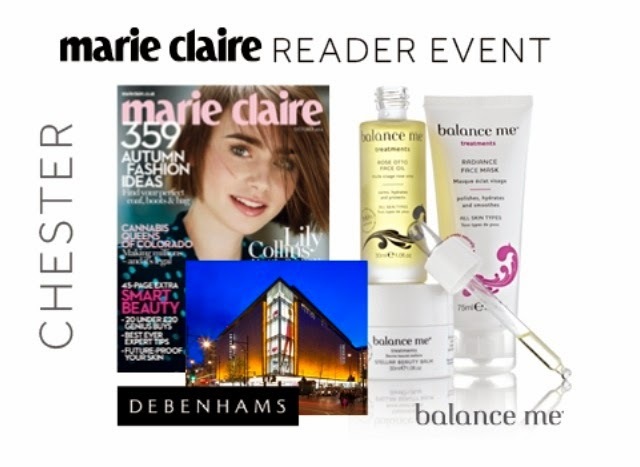 Balance Me have teamed up with Marie Claire and Debenhams to bring us 4 in store events and one of these events will be in my home town of Chester (hurrah for us northerners!!!) and as a massive Balance Me fan I will definitely be attending! Tickets to the event cost £10 each and you will be given the opportunity to test out the products and you will receive a goodie bag worth a whopping £75.00, as well as this you will receive 15% off all purchases on the night, fantastic! Tickets will be limited so if you want to go to one of these events, you can get your ticket HERE.